Besides nature, IREMA Slow Fashion has got a strong commitment to society. That is why we love to work with different social workshops, where people are respected and social inclusion is promoted. We invite you hereunder to visit two of them, do you join us? As you already know, in IREMA Slow Fashion we love transparency. For that reason, we always inform about the process of our work, from the origin of the fabrics we use to how we make our garments. It is very important tell you the story behind every garment. One of our main objectives is returning to planet everything it gives us using organic and no toxic fabrics and techniques of dressmaking respectful with the environment. But not the only one, because producing socially responsible products is also essential, so we work with providers and suppliers with a commitment to ethical fashion. We spend time looking for our partners because we are interested in building strong personal relationships with them. Our face-to-face approach is key to build a sustainable and transparent supply chain. And we would like to introduce two of these partners: Estel Tàpia and Customizando. We have chosen them because they encourage social inclusion, respect people and reactivate local economy through small workshops. Velvet sweatshirt made in Estel Tàpia. Estel Tàpia is a social organization that works in the neighborhood the Raval (Barcelona) with a social and productive workshop for adult people in social exclusion. In particular, we work with its CET (Special Employment Center), a social project that works from the Raval district to give employment to people with disabilities and to offer clothing services to companies with social responsibility. 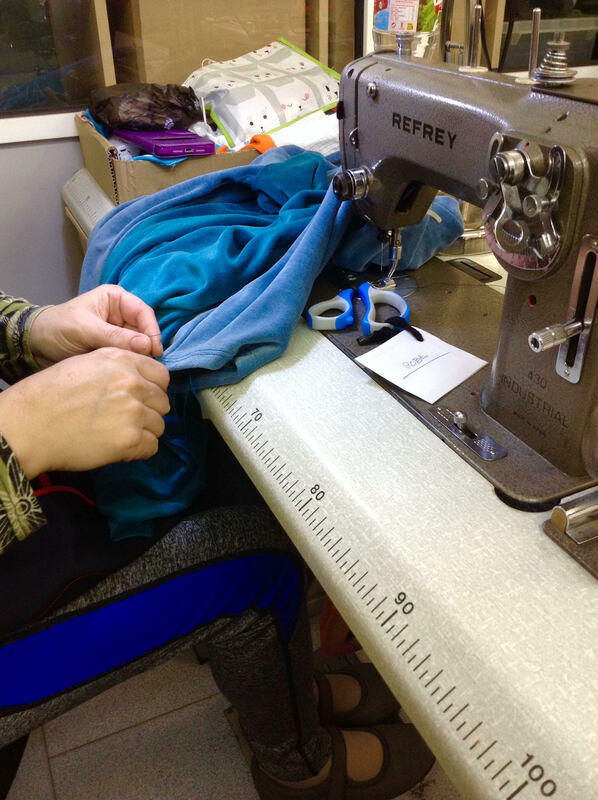 For example, our beautiful velvet sweatshirts are made here. 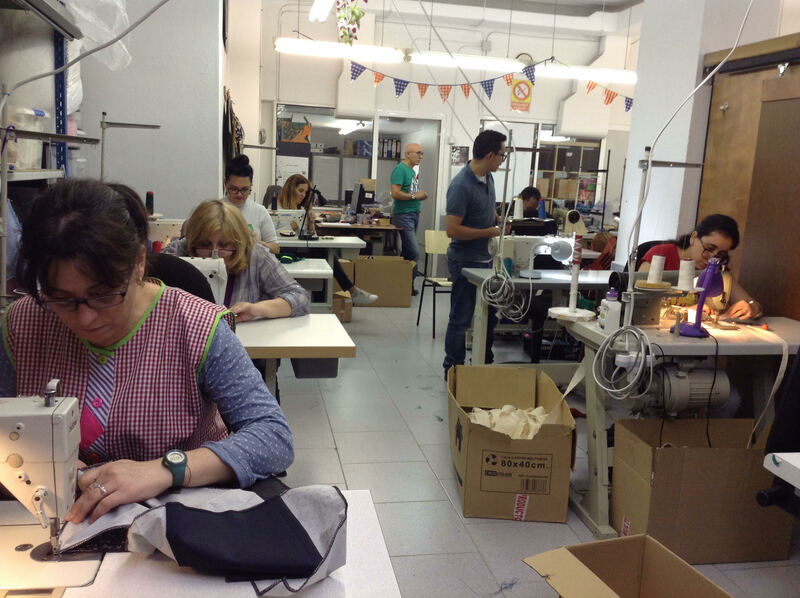 Customizando was born in 2016 in Madrid as a non-profit cooperative of social integration that works in the creative design sector and in the artisan textile transformation, giving a second life to garments. Set up by 8 women who combine dressmaking and creation with training, empowerment and cooperative entrepreneurship. For example, our new jackets are made here.